Vegan Southwestern Salad with Avocado Dressing is one of the most delicious and nutritious salad that can be prepared. 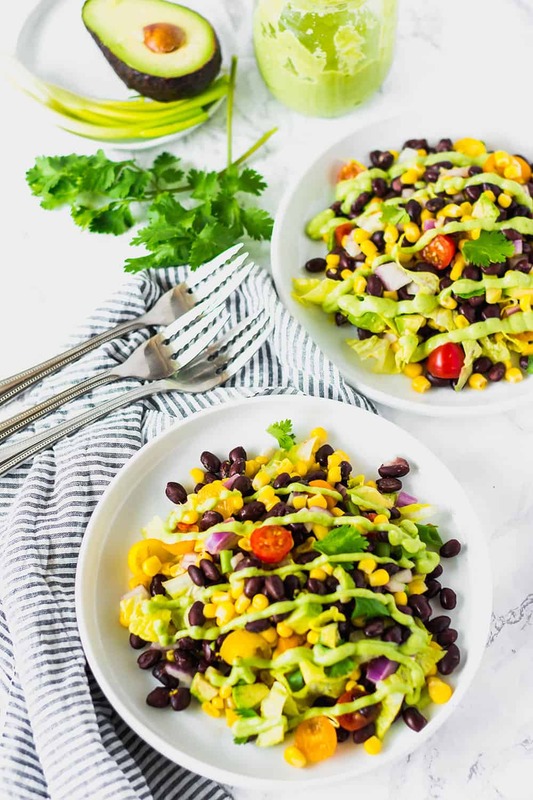 So easy to prepare in minutes, Romaine lettuce, black beans, sweet corn, tomatoes, bell peppers, red onion, avocado, and cilantro tossed in a creamy avocado dressing. 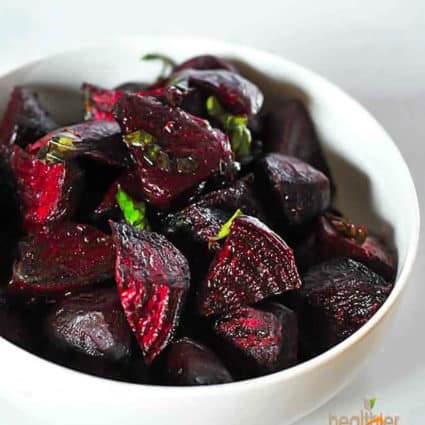 Another thing that I love to do is, to include lots of different vegetables in different colors in my salads. We eat with our eyes, so I do my best to make dishes that are very pleasing to the eyes and also very flavorful. 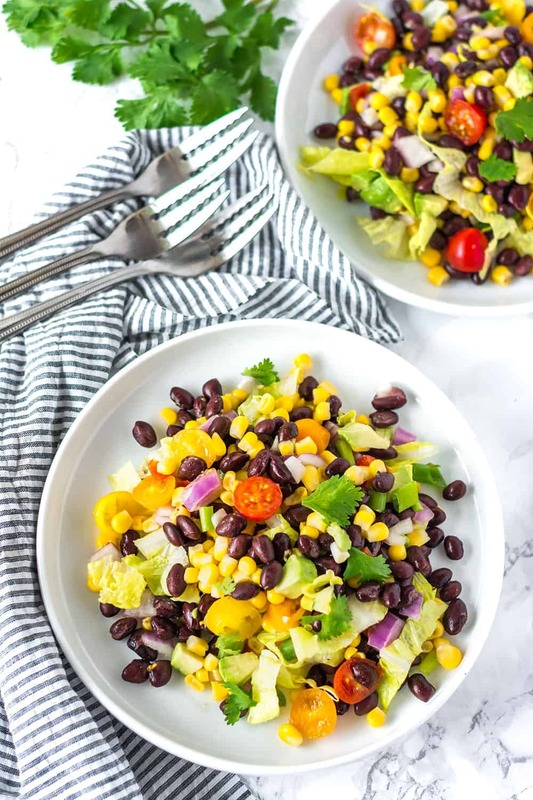 This black bean salad is no exception, I include a base of chopped Romaine lettuce (my favorite), chopped red and yellow bell peppers, black bean, organic corn, avocado, spring onions, and cilantro. 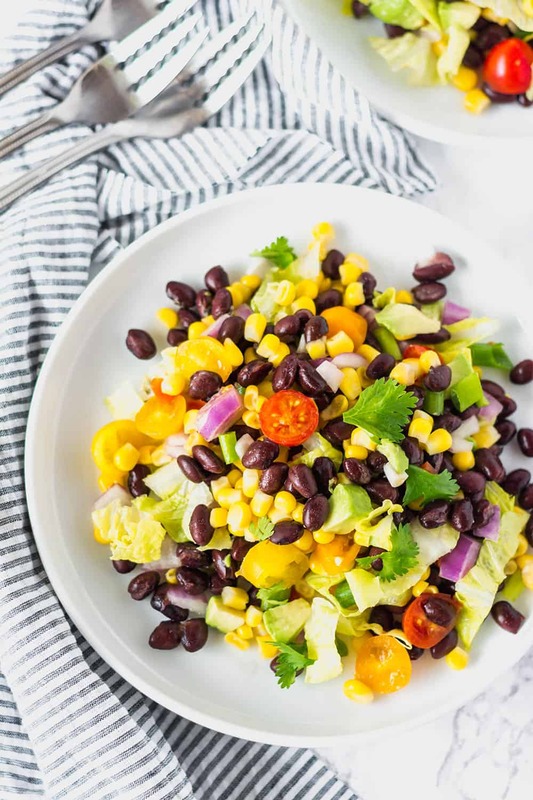 This salad is hearty and it really doesn’t require lots of prep time except for cooking the black beans or you can just use canned beans instead. You can also use canned, fresh or frozen corn (I like to cook my frozen corn for about one minute in boiling water). The dressing is creamy and delicious with a blend of almond milk, avocado, cilantro, cumin, maple syrup, and garlic. 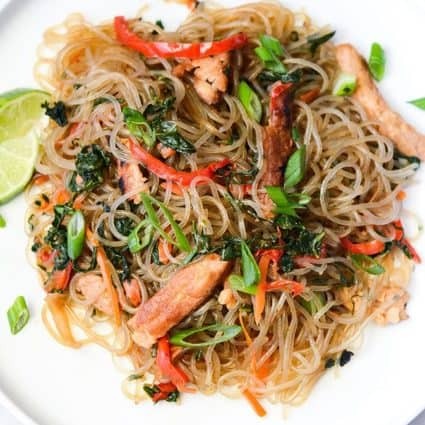 This salad is delicious on its own for a light meal, served as a side or like how I had it as the filling for a veggie wrap using a brown rice tortilla. 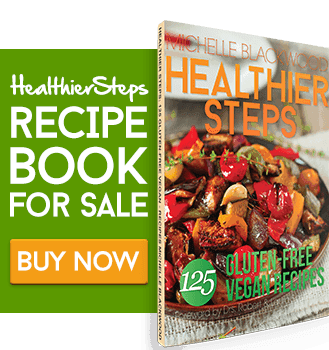 If you make this black bean salad recipe, snap a photo and hashtag #healthierstep — We love to see your recipes on Instagram, Facebook, & Twitter! 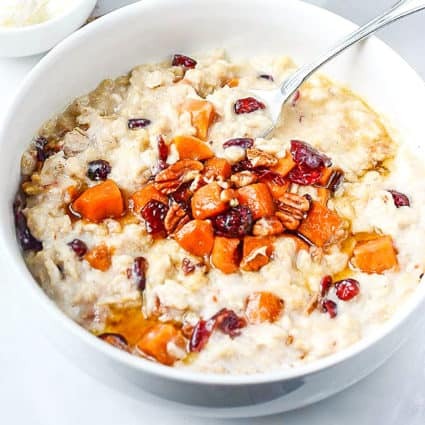 Place all ingredients in a blender and process until smooth, scraping down the sides. Keep leftovers refrigerated for about 3 days. 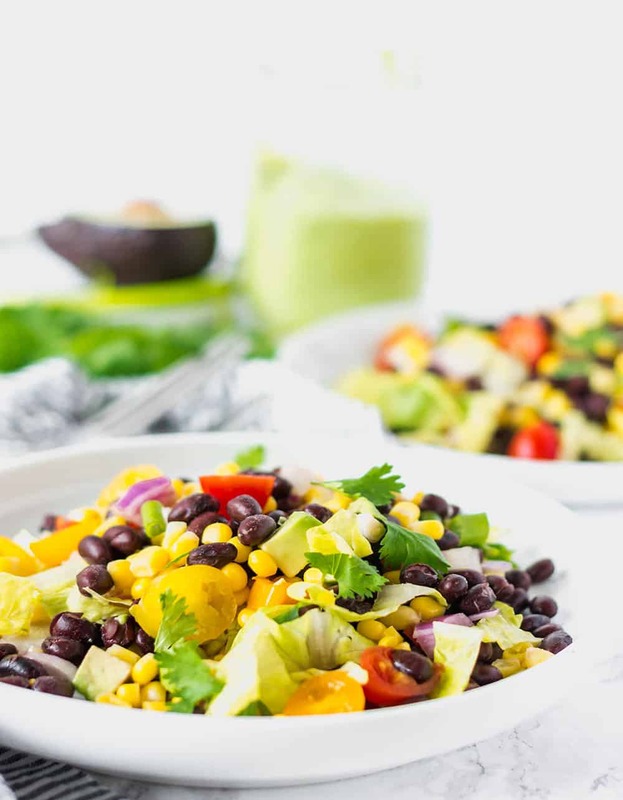 Toss lettuce, black bean, corn, tomatoes, bell peppers, avocado, red onion and cilantro in a large bowl. Garnish with spring onions and serve with avocado dressing. This recipe has been my favorite for awhile, I love to serve it with your black bean enchiladas. Andrea, I’m so happy you love this salad and enchilada.